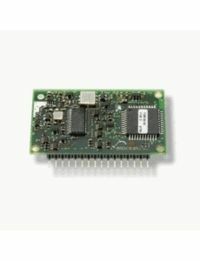 The TCM 120 is a bi-directional EnOcean radio module. It provides a serial interface which allows to receive and to transmit radio telegrams. A simple modem functionality makes it possible to exchange data between several TCM 120 modules. The application note AN602 (see links) shows how to interface it with a rs232/usb converter chip from ftdi. The serial API is avaiable in the manual. This page was last modified on 6 November 2011, at 11:38. This page has been accessed 9,484 times.